(TibetanReview.net, Oct25, 2017) – Chinese police in Yulshul (Chinese: Yushu) prefecture of Qinghai Province have picked up at least seven Tibetans over the past ten days, accusing them of having produced and distributed video materials on protest self-immolations that had taken place several years ago, reported the Tibetan Service of Radio Free Asia (Washington) Oct 23. It was not clear which protest self-immolations were covered in the video materials in question which were said to have been made two years ago. However, those known to have been taken away all belong to the prefecture’s Tridu (Chenduo) County. Six of the known detainees – Tashi Damdul, Kalsang Gyaltso, Tsering Chophel, Tenzin Namgyal, Choephel, and Tsering Norbu – are said to belong to the county’s Khangra Village. And the seventh one, Tsegyam, is said to belong to the county’s Kamyi village. Because of heightened security measures, including on all forms of communications, no further details about the circumstance of the detentions and the whereabouts of the detained Tibetans could be ascertained. The detentions were reported to have taken place under a secret operation carried out amid the holding of the 19th five-yearly national congress of the Communist Party of China in Beijing, which opened on Oct 18. A total of 150 Tibetans have been confirmed to have carried out protest self-immolations across the Tibetan Plateau since Feb 2009. 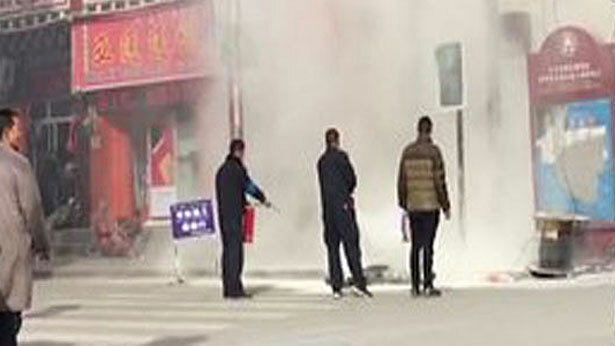 Chinese authorities have punished family members as well as village and monastic communities of self-immolators in attempts to stem the tide of such incidents. Nevertheless, sporadic incidents have continued unabated.